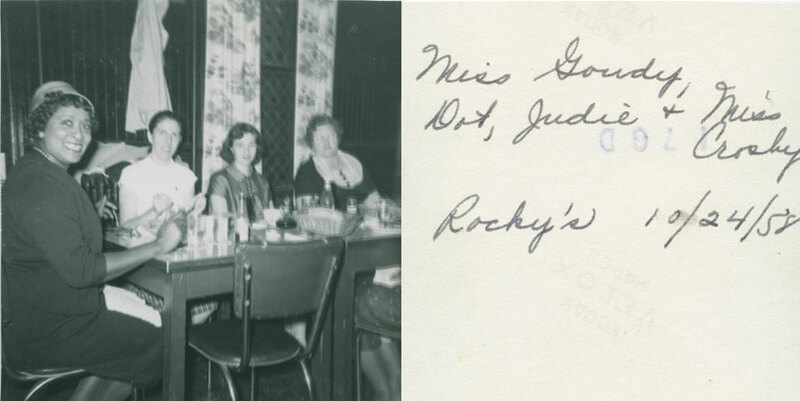 Unable to attend our Story and Photo Share at the Hudson Area Library on November 18th in 2012, yet wanting to share her memories and photographs, Gloria Hollenbeck had an envelope delivered to the library addressed to the Prison Public Memory Project. Inside we found a two-page typed letter and a selection of photographs. Gloria worked as a stenographer at the New York State Training School for Girls for two years in the 1950s. Gloria grew up in Hudson and graduated from Hudson High School in 1954. Since the library has all of Hudson High’s yearbooks we were able to find Gloria’s picture (see Bartholomew).